The journey start from the Subang Skypark terminal while I'm await for my flight out to Singapore. This flight is operated by Firefly, the community airlines serve at the heart of the city centre for the convenience of people who don't like to travel far to the KL International Airport. 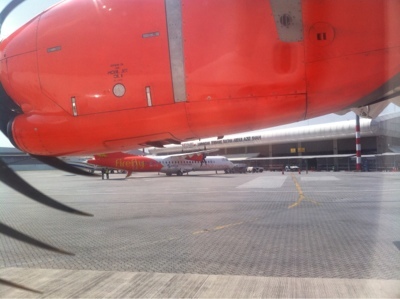 My flight was delayed due to the late arrival of the aircraft from the previous sector. 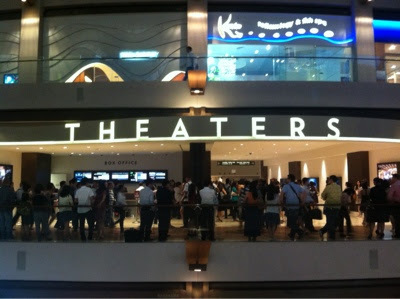 I wasn't anxious yet as I believe I have such ample time to reach the theatre on time. My departure time was now change with additional delay of 20 minutes making me depart at 1530hrs. 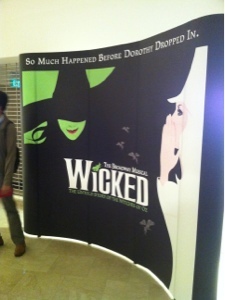 This is a trip for Wicked: The Broadway Musical. Venue at the Marina Bay Sands, Singapore. I reached at the Budget Terminal Changi as expected. Transferring myself to the MRT took about 30 minutes by free Shuttle bus to the Terminal 2 where the station is located. If you traveling to Singapore for more than 3 days and prefer to travel with their public transport, the best thing to do is to buy their EZ-Link card. It's a touch and go type which will make your journey so much easier around Singapore. It's only cost me SG$1.66 (pay less with Ez-Link card) for a trip from the airport to Raffles Place station. I was late for everything. Lucky for me I booked the hostel around the city area. It was my first time staying in a hostel. To travel budget one must not waste so much money on the accommodation. 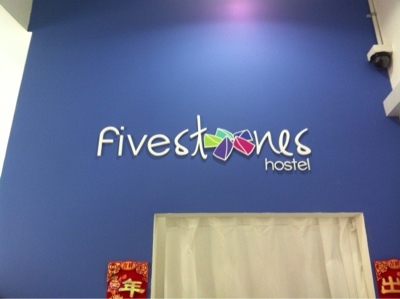 I was so happy to find out I didn't make a bad choice choosing Five Stones Hostel as my place to stay. 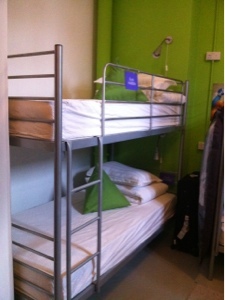 It's only cost me SG$33 per night for a 6 bed dorm and the interior of the building is excellent and nicely decorated. Free breakfast, free wifi, free 24 hours coffee or tea, free laundry and much much more. So I can't complaint at all on my stay. Plus I get to meet new people and friend. 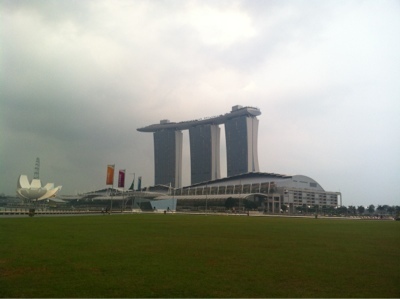 After a quick shower, I went straight to the Marina Bay Sands. The best option was to walk. It was quite a walk. 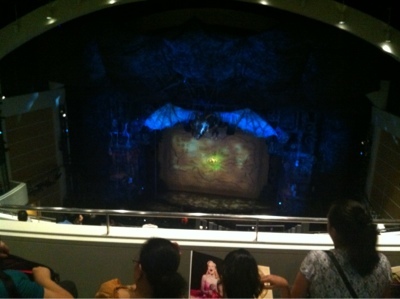 I reached at the theatre 35 minutes later just in time before the show started which is at 1930hrs. 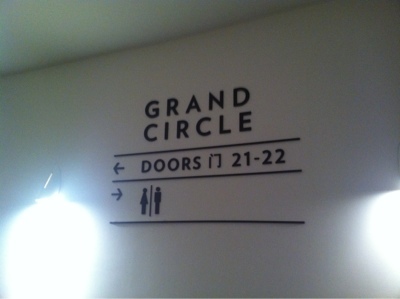 My seat location would be J14 Grand Circle Door 21. The show. Lets talk about the show shall we. How do I begin my story. I can say theatre never cease to amazed me. I can say its definitely breathtaking and amazingly awesome. It's definitely worth every single SG$98 I've paid for it. The night ended with splendid memories. I can honestly said I did have a good fun. I laughed, I cried, I dance (a little bit) and I even sing along to the songs (terribly). Flew back the next morning and it's time for me to come back to reality. My father and I are surprising my mother and driving her to Chicago for her 50th birthday. 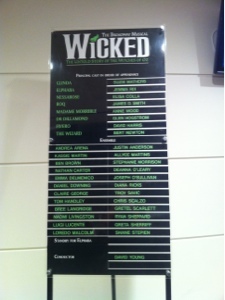 The surprise is that we We spent just $205 for wicked tickets Really Do not miss it , especially with parents .. I would go again in a heart beat.